RUSH: This Nancy in Cincinnati. Great to have you. How are you doing? CALLER: I’m well. How are you doing? CALLER: I just returned from Israel just today. I was there from Saturday on and was just really struck with how different what I saw in the news was from what was actually happening. 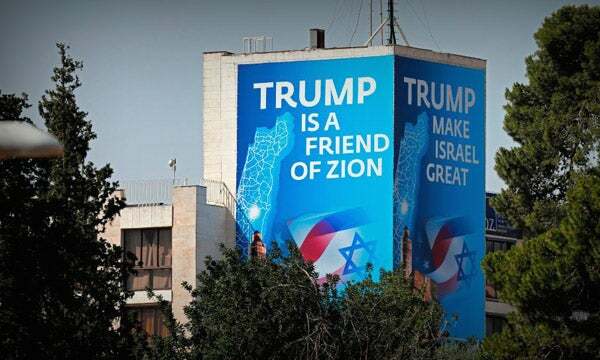 As we drove into Jerusalem on Saturday, there were American flags everywhere, American flags paired with Israeli flags, and I noticed that you never saw the building on the news. You just saw those arrows pointing to the U.S. embassy, was almost all you saw. CALLER: Embassy was gonna be or directions to the embassy. RUSH: And then we went from that to Trump being blamed for what Hamas was doing to its own people. RUSH: I’m so glad you saw it, I’m so glad, because you now can tell anybody and everybody, as you’ve just done here, how fake — this is a great example of what fake news is, and you saw it, you were there. I’m glad you got through. I appreciate it.